HOWEVER, you will need to understand figurative language concepts and certain poetry analysis terms in order to correctly identify correct answers. 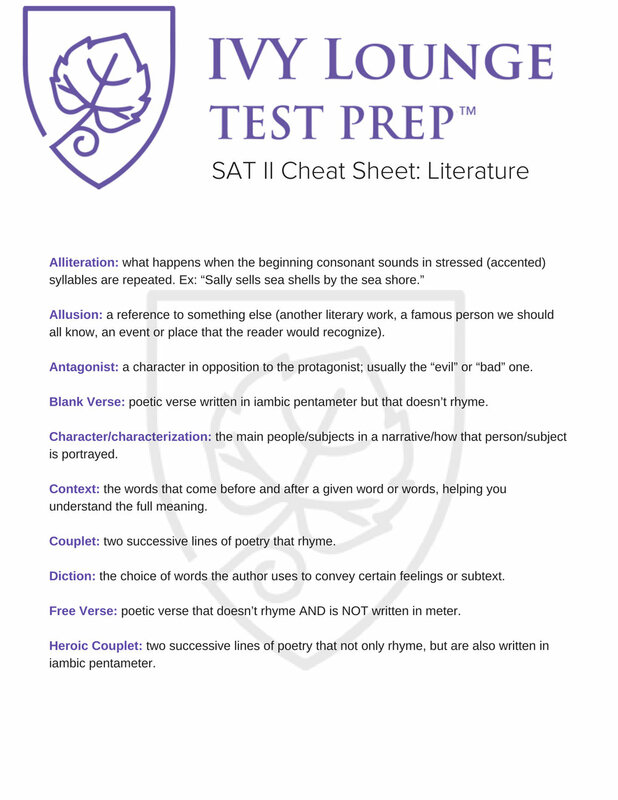 Luckily, in addition to my SAT II Literature Subject Test Failproof Study Plan, I’m including a list of some concepts you CAN study. At the VERY least, know these. Feel free to print this cheat sheet (it's sized for it and everything) and to pass it along to a friend in need! Newer PostSo You Skipped the June SAT...Now What?